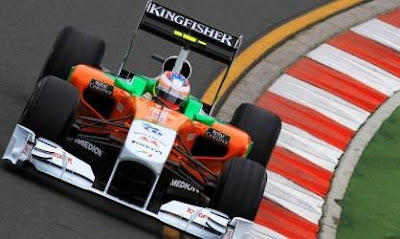 India is all set to see its first Formula 1 race on 30th October 2011 and really no less than a dream come true for millions of Indians. Formula one has a huge and crazy fan following across the globe and the thrill of the game is all worth it. 17th race of 2011 Formula one season on 30th October 2011 will witness the kickoff of Indian Grand Prix at Buddh International Circuit in Noida, India. The newly built track makes every Indian proud to host a Formula one race after such a long wait. Many people consider this Formula one race will create significant new opportunities for Indian sports in coming years and financial benefits are not to be ignored at all. While every Indian is trying to get a hand on Formula 1, we are geared up with a range of Formula 1 books. All the books are must read for all formula one fans. Featuring Jenson Button, Lewis Hamilton, the return of Michael Schumacher, Fact Books and much, much more!